Each year, firms hope to be more productive and profitable than the last. However, many want productivity and increased profits while everything else stays the same. In the midst of the full workloads, it can be difficult to embrace change, but making small, effective changes will position your firm for success throughout the year. If your goal is to improve communication within the firm, a Kaizen-oriented change could be as simple as defining the list of priorities for tax season and sharing this with the team. Another small result may be to create a box for people to anonymously submit questions or issues that they do not feel comfortable asking directly. These are small steps toward increasing firm communication, but the possibility for progress towards the goal is large. As a word of caution, do not let small steps turn into stagnation. Sometimes we can fool ourselves into thinking all small steps are progress when they are just a creative means of procrastination or unnecessary distractions. This can be avoided by sharing goals with others for accountability and setting up a very basic schedule or timeline for the changes to occur. By identifying firm goals, breaking them down into small steps and defining a reasonable timeline, you can avoid many failures that result simply from fear and feeling overwhelmed. Identifying minimal areas for change and following through on those changes can have a large impact. Take small steps to improve using the tools that you have while still focusing on what you do best. As long as you are making continual progress with the small steps, you can achieve your goal. 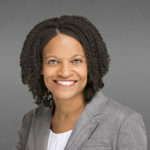 As a consultant for Boomer Consulting, Inc., Arianna Campbell helps accounting firms challenge the status quo by leading process improvement initiatives that result in increased profitability and client satisfaction. She also facilitates the development and cultivation of future firm leaders in The P3 Leadership Academy™ Academy. Internally, she blends concepts from Lean Six Sigma and leadership development to drive innovation and continuous improvement within the company. Arianna also enjoys the opportunity to share knowledge through regular contributions to the Boomer Bulletin and other industry wide publications, as well as public speaking at industry conferences.